This weekend DH and the boys are in Sweden for a ski training weekend with the Cross country ski team, so it's just us girls at home. We've been watching movies, "Grand designs", american football ( go Seminoles!!) and just had fun! 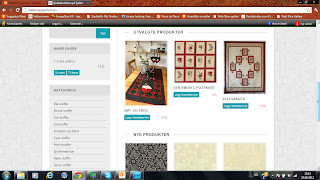 I have also been workin a lot on our shop's new website... My computer and scanner has taken over the diningtable along with LOTS of fabrics that I need to scan to add to the webshop. 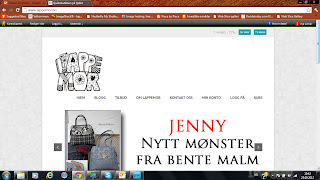 If you would like to take a look you can click on the pictures, or our logo in the right side of my blog. The site is in Norwegian- but a picture can say a thousand words.... right....? Back to work- have a great Sunday everyone! Looks wonderful Anne Heidi. Great job!